For the first time in 16 years, hornets moved into my garden and built a nest in my pear tree. I’ve always had wasps, but their nests are tiny, and I can tolerate them as long as they stay out of my way. 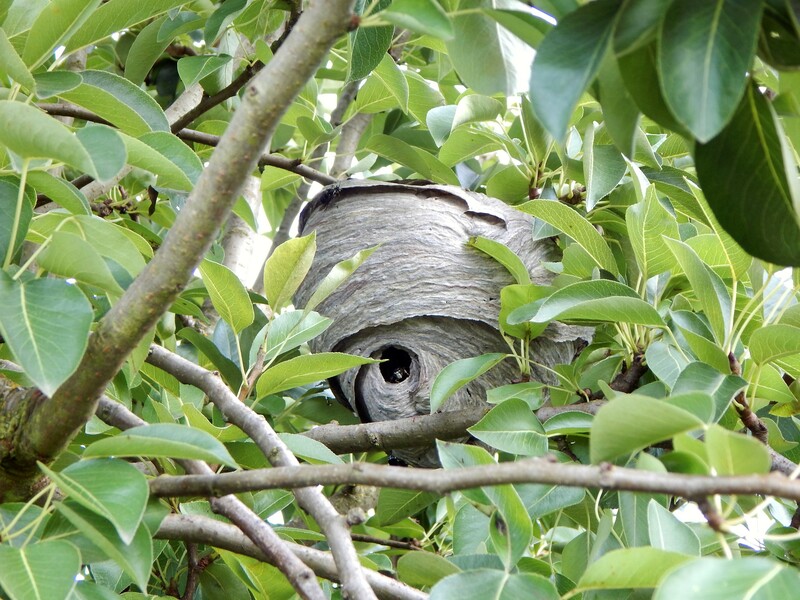 I applied the same philosophy to the Bald Faced Hornets when they built this humongous paper nest in my Bartlett pear tree near the south side fence. As long as they didn’t interfere with my activities I was fine. Then a few days ago I bent down to throw some kitchen scraps onto the compost pile about three feet from the tree and… Zap! One of those critters stung me on the back! Not fun! My reaction surprised me. In seconds, my previous attitude of tolerance changed to an attitude of anger and a primal urge to exterminate. I immediately made a declaration of war and went on the offensive. I decided to find someone who could get rid of the nest for me. 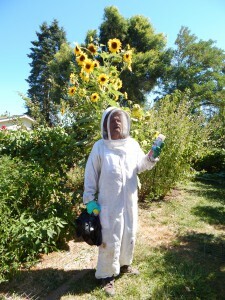 My friend Alicia knew a bee keeper that could help. I got a hold of him the following morning, and he was able to come out immediately to remove the nest. What a relief! His name is Philip Smith and he can be reached at 541-968-8431. He lives in Vida. It was odd not feeling safe in my garden for the first time ever in 16 years. All it took was a hornet stinging me to bring out this fear and take away my sense of garden happiness and peace. 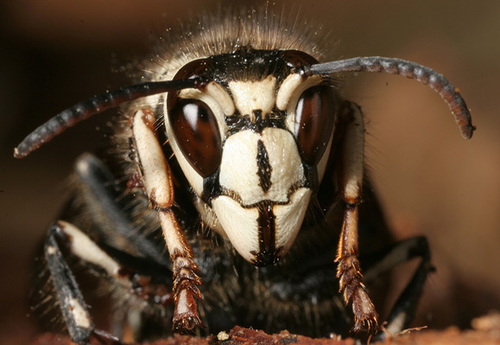 Unlike barking dogs and screaming neighbors, noises that you can tune out with practice, an actual sting from a hornet is unavoidably painful and something one cannot “tune out”. It put me on edge, and I was afraid to even walk down the center pathway for fear of exposing myself to attack again. 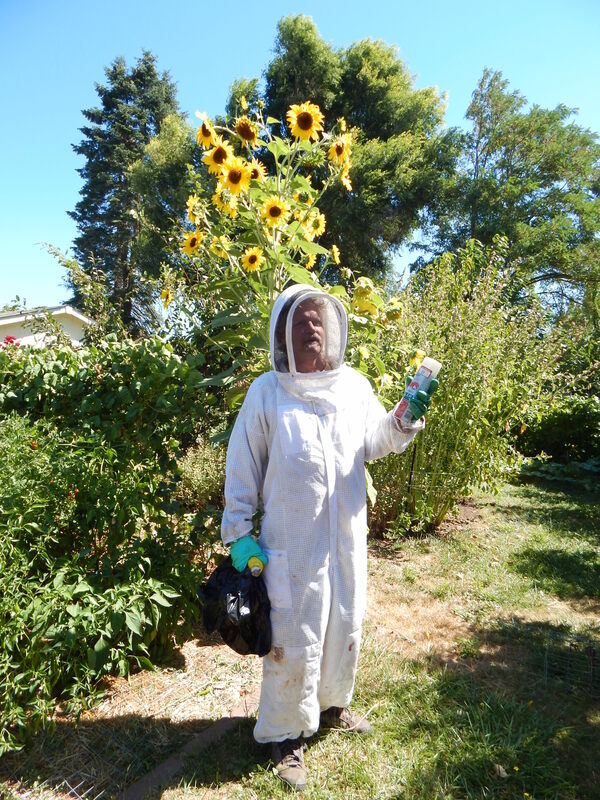 In any case, the lesson learned is that bees, wasps, and all the other pollinators are welcome in my garden of diversity and beauty, but hornets are never, ever again going to find refuge here. In the future, I will be more careful to examine what is going on in the higher levels of my garden in the early spring. If I see a hornet nest being constructed, if I catch it in the early stages, then I will spray it with some killer spray before it gets any bigger and I have to call in a professional. It feels good to be able to walk out in my garden again and feel safe and at peace. give Philip Smith a call at 541-968-8431. He lives in Vida. 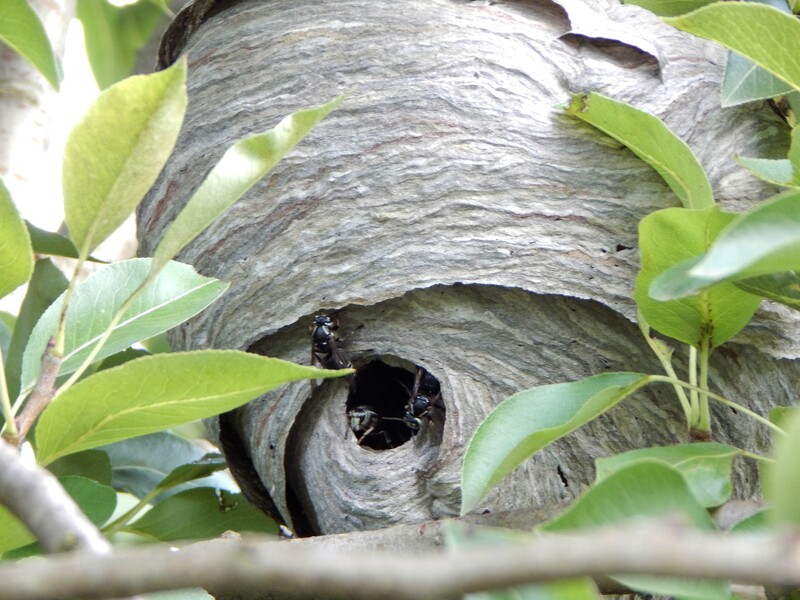 Here are a few informative links and a video on how to remove Bald Faced hornets nests.